2/3/19 – Lucky has found a new home! Lucky isn’t feeling very lucky at the moment as his owner had to give him up due to the change in circumstances. He’s hoping he will live up to his name when a new owner comes to take him to his forever home or even offers him a foster home meantime. He is in the safe care of All Dogs Matter in North London and keeping his paws firmly crossed in the hope of that cosy, loving home. 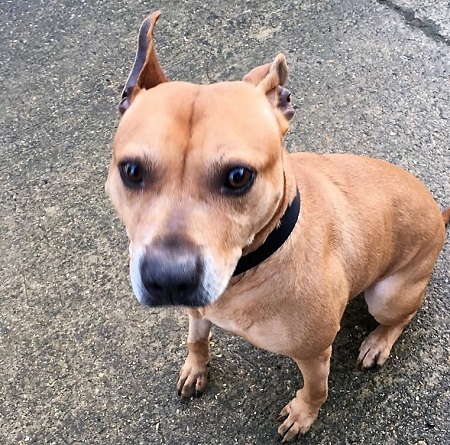 Lucky is around 7 years old and is a male, tan Staffordshire Bull Terrier Cross. 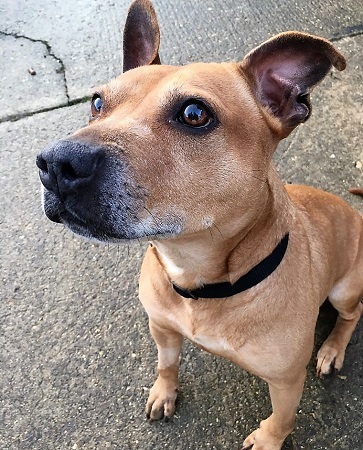 He is a friendly boy who seems to be getting on well with people and other dogs at the kennels. 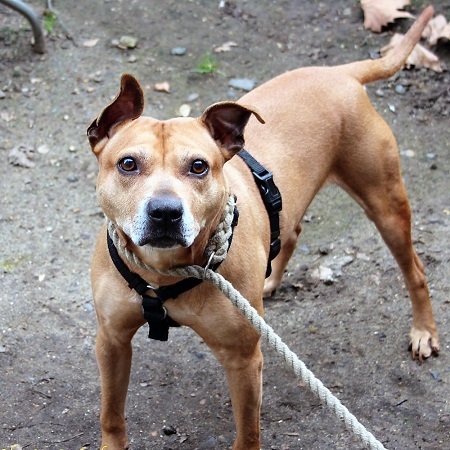 However, he has never shared his home with another pet and therefore would suit being the only dog in a home. Lucky can live with children over the age of 8 years, but no cats please. He would ideally find a home with someone who has owned dogs before. Lucky could possibly live in a flat if there was close access to a park or nice walks. Lucky has no known medical needs and has been neutered. Please mention that you saw Lucky on the Oldies Club website.